We’ve spent your future. Generationally speaking, yours truly, the principal, the guidance counsellor, the school board, the old, the late middle-aged and the early middle-aged have cleaned you out before you’ve got going. “It’s about the future of all our children.” And the future of all our children is that you’ll be paying off the past of all your grandparents. In the assisted suicide phase of Western democracy, voters are seduced by politicians who bribe them with government lollipops. Solution: Kick it down the road, and stick it to the next generation. That’s you. What alarms Steyn is a societal drift towards immaturity and passivity that was consummated by the 2008 general election. Obama, therefore, represents “a symptom rather than the problem”. And how is the problem to be explained? Steyn hits pay dirt comparing “the insular myopic Eloi” of H.G. Wells’s The Time Machine (1895) with the politically correct elite in Western societies, Barack Obama merely the first among equals. In Wells’s futuristic London all physical work is performed by the Morlocks, “a dark, feral, subterranean underclass” that has evolved into a “physiognomically distinct species”. The decadent and overindulged Eloi, on the other hand, are removed from reality. President Obama and his White House staffers, not to mention the political class in almost every Western nation, are trapped in “elderly arrested adolescence”, their narcissism passed off as a nobility of spirit. Obama spoke on behalf of Eloi everywhere when he made this humble declaration: “Generations from now, we will be able to look back and tell our children that this was the moment when the rise of the oceans began to slow and our planet began to heal.” Needless to say, not only do the Eloi know nothing, they are unaware they know nothing. Edward Said left his mark in progressive academic circles by claiming that traditional European scholars misunderstood the foreign climes they investigated. Our presumptuous forebears might have been proficient at school in Latin and Ancient Greek, added a couple of modern languages plus Hebrew to the repertoire in the course of their university days, and then set themselves up in some dusty corner of the Ottoman empire for a decade or two, becoming entirely au fait with the local Arabic dialect while mastering Aramaic and Turkish on the side, but all these undertakings were in vain. “Orientalism”, alleged Said, had precluded them from any authentic understanding. The miracle of today is that a man such as Barack Obama, a fellow who not so long ago believed Austrians spoke a language called “Austrian” and that members of the American Armed Forces proficient in Arabic could be profitably relocated to Afghanistan, knows all that needs knowing about foreign cultures in general and Islamic ones in particular. The modern Eloi all share in this miracle, since Obama is “not just a product of his time, but the product of his time”. Obama, asserts Steyn, is the same man writ large, who plants a COEXIST sticker on his car window with the assuredness of one who has at last solved humanity’s greatest conundrum. He’s the first president to give off the profound whiff that he’s condescending to the job—that it’s really too small for him and he’s just killing time until something more commensurate with his stature comes along. Obama comes across as a snotty viceregal grandee passing through some tedious colonial outpost. This awkward disconnect, says Steyn, probably explains why so many Americans find it easy to believe their president might not be one of their own, that he is a clandestine Muslim or an undisclosed foreign national. According to Steyn, Obama is not un-American or anti-American, because he’s “beyond all that”. The problem appears to be not so much that Obama is “foreign to America, but that America is foreign to him”. A lifetime of being “marinated” in “post-modern, post-American cultural relativism” has turned Obama into a coolly detached expat, without the inconvenience of leaving home. Young Barack, as is well known, went on to find employment as “community organiser”, a form of work that still awaits satisfactory elucidation. If Obama had not become the President of the United States of America, quips Steyn, his adult life would “read like one of those experimental novels that run backwards”. Michelle grew up to be a “diversity consultant”. Her most recent paid work was with the University of Chicago Hospitals. As a modern Eloi, her job was nothing so drearily practical as doctor, nurse or janitor; instead, she managed the “business diversity program”, which naturally proved a nice little earner. At $316,962 a year Michelle Obama supervised neighbourhood outreach, staff diversity and other initiatives equally crucial to the functioning of a modern hospital. Perplexingly, Michelle’s position was not replaced on her elevation to First Lady. Unsurprisingly, progressives like Obama with their “ambitious vision”—which Steyn translates as “record-breaking spending”—regard money, as distinct from America’s mining and energy resources, as infinitely renewable. I write this as the US debt accrued since Obama’s January 2009 inauguration sails past the $4,000,000,000,000 marker and $5,000,000,000,000 begins to loom on the not-so-distant horizon. (Steyn counsels against toleration of the term “trillion” because its use insulates people from reality.) Informatively, leftist commentators, including Nobel Prize-winning economist Paul Krugman, were livid when Obama recently cut a deal with the GOP to nominally reduce debt. “We shouldn’t even be talking of spending cuts at all,” fumed Krugman in July. No debt, not even one that bends in the direction of infinity, is too much for those who have faith in Big Government. The White House, declared Krugman, only agreed to moderate government spending because of intense pressure from the House Republicans. At least Krugman was right about that. 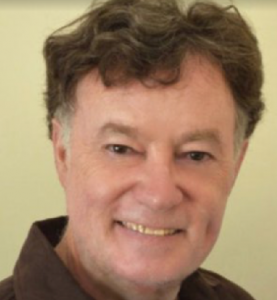 Steyn maintains that not only does improvident government spending ruin the prospects of America’s children, it will never restore jobs in, say, Detroit, because they were the product of a vibrant local culture that encouraged and rewarded literacy, expertise, initiative, risk, hard work and self-disciple. Large parts of America need to be re-awakened to a kind of dynamism that disdains European-style statism rather than embraces it. Obama’s “hopeychangeything” was never going to be the answer. In many ways, maintains Steyn, China’s post-Tiananmen economic success has been at the expense of America, including the reality that the USA has over the last two decades “exported millions of low-skilled jobs” to the People’s Republic while at the same time, because of politically correct porous borders, it has “imported millions of low-skilled workers”. One of the facts Steyn provides might say it all: China is now the biggest investor in liberated Iraq. Modern history presents examples of regimes with foreign policies that have been more malevolent than China’s, and yet Steyn makes a strong case for Beijing’s being the most amoral. Who would be surprised that the PRC was prepared to sell Gaddafi $200 million worth of arms in the months before his fall? Who would be surprised at anything Hu Jintao, Wen Jiabao and the rest of the team in Zhongnanhai would do to secure their energy needs? And yet the Obama administration is too paralysed or detached to insist that China enforce the most basic rule-of-law trade and industry protocols. The presidency of Barack Obama, in Mark Steyn’s opinion, not only signifies (and accelerates) America’s enfeeblement in matters economic. Obama’s America, on its slippery slide towards 2050, wants to throw off its exceptionalism and like Switzerland become neutral “even about itself”. Such a fanciful notion takes place while “Team Islam”, as Christopher Caldwell describes the phenomenon in Reflections on the Revolution in Europe (2009), discovers an appetite for implementing sharia law in a patchwork of districts throughout the West. We live in a time when the Organisation for Islamic Co-operation (OIC) has become the single biggest voting bloc at the UN. The OIC, a fifty-six-member organisation, stipulated in its 1990 Cairo Declaration that all human rights and freedoms must be subject to sharia. Astonishingly, the forty-fourth President of the United States chooses such a juncture in world history to claim that the USA is “one of the largest Muslim countries in the world”, even though America has fewer Muslims in its midst than at least forty other nations. Besides, why describe the USA as a “Muslim country” in the first place? Steyn, again, might be right to identify Obama as not so much un-American or anti-American as “beyond all that”. Two and a half years of the Obama administration and we know the consequences of a post-American president entering the violent and unruly world of geopolitics. Any serious foreign policy victories, including the hunt for Osama bin Laden, were in place before Obama occupied the White House. One apt summation of Obama’s (and Hillary Clinton’s) foreign policy style is that he “leads from behind”, unable to make sense of the intrigues carried out by the thugs and gangsters who rule in such disparate places as Iran, China, Russia and Syria. Back in June 2009 Obama appeared bewildered, even paralysed, when hundreds of thousands of brave Iranians took to the streets to challenge the legitimacy of Mahmoud Ahmadinejad’s theocratic-fascist regime. President Outreach, as Steyn calls Obama, had promised America that his foreign policy would be different from the “cowboyism” of the forty-third President of the United States. But how could Obama generate a positive and mutually respectful relationship with the government of the Islamic Republic if the “Green Revolution” rudely swept away the Islamic Republic? Meanwhile, the Iranian government keeps working towards nuclear weapons capacity and missiles capable of delivering nuclear warheads, aided and abetted by Vladimir Putin and his Federal Security Service. Steyn has a fascinating, if disturbing, explanation for Russia’s duplicity; a form of scheming beyond the imaginings of a man who believes he can strengthen relations with the Kremlin by betraying American allies like Poland and the Czech Republic. The only Realpolitik Obama appears to practise is against his domestic adversaries. Today we have post-modern post-great-power rivalry, in which America envies the way the beneficiaries of its post-war largesse have been able to opt out of the great game entirely. In reality-TV terms, the Great Satan would like to vote itself off the battlefield. How to avert disaster? It will not be easy, if for no other reason than that in America (and all through the West) the PC brigade continues to restrict genuine dissent, its fancy talk of “diversity” little short of Orwellian. The anti-establishmentarianism of the 1960s has metastasised into a form of soft totalitarianism. The supposed commitment by progressives to “rights” increasingly concerns itself with the rights of groups rather than the rights of individuals. Our ancient liberties, argues Steyn, are under threat from a left-of-centre political class who see their role as the authoritative arbiter between “tribes” rather than as the democratic sentinel of free individuals. This, sadly, represents only one aspect of the problem. It is Steyn’s contention that a “lefter-of-centre judiciary, a leftist-of-centre bureaucracy, all of whom have been educated by a lefterooniest-of-all academy”, hinders Americans from confronting Stealth Jihadism. The allegation of “Islamophobia” has become the weapon of choice for our PC hought police. To rekindle the spark of liberty once it dies is very difficult. The inertia, the ennui, the fatalism is even more pathetic than the democratic decline and fiscal profligacy of the social democratic state, and, because it’s subtler and less tangible, even harder to rally against. 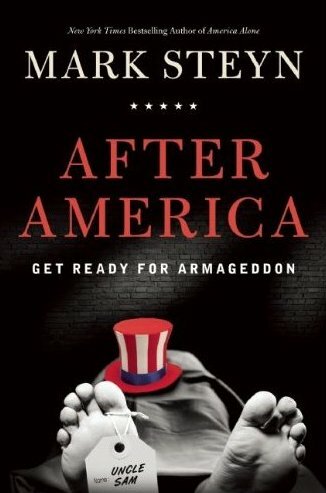 Whatever the final outcome of the war to defend Western civilisation, Mark Steyn’s After America: Get Ready for Armageddon at least points potential combatants in the direction of the front line. In times past the concept of “cool” was adopted by many an underclass, from slaves to political dissenters, as a form of insolence in the guise of ironic disengagement. In the 1960s the psychedelic generation adopted it as a guiding moral imperative as they began discarding, thanks to the complicity or dimwittedness of their elders, the cultural traditions of our antecedents. Many of these self-styled rebels, along with their younger mimics, now hold positions of power and influence, and yet for the politically correct generations “cool” remains fundamental to their sense of self. All the allure and glamour of being cool, however, comes at the price of inertia and paralysis. Barack Obama, the coolest-ever President of the United States, far cooler than saxophone-playing Bill Clinton, is “less the leader of the Free World” than “the Bystander-in-Chief”. Our children need to read After America and begin to understand its lessons. In the shorter term, the book’s primary value is that come November 2012 even more Americans might vote for a candidate blessed not with self-conscious aplomb (“street cred”) but with maturity, humility and common sense. The electoral demise of The One will not in itself save America, although it would be a good start. Daryl McCann reviewed Lindsay Tanner’s Sideshow in the July-August issue, and Why Marx Was Right by Terry Eagleton in September.